Why be involved in the paint industry? Paint is a necessity. Every building, residential or commercial needs at one time or another. Ensuring that you are associated with the latest Nano Technology paint is why you should choose Geo-Paint, giving you a superior product associated with quality and out performing some of the best brands in the market. Geo-Paint manufactures and specializes in Nano Technology paints for the domestic and commercial industry in Interior and Exterior Paint. Specializing in Waterproofing Products as well. Providing excellent spread rate, coverage than most paints because of our Nano Technology. An Independent Warehouse Distributorship is where we grant you the right to distribute our GEO-PAINT products from your own premises trading a Geo-Paint. This is a licensed agreement for a period of 24 months, up to a maximum of 5 years. The Distributor operator is truly independent but is obliged to purchase it’s products at an agreed price from us. Why choose a Geo-Paint Warehouse Distribution option? Geo-Paint has been manufacturing paint since 2007. Geo-paint has been involved in the development of cutting edge products that a Licensee can now bring to the end customer. Central to our business approach is a set of core values directed at maintaining a credible, prosperous brand with sound ethics and principles. Access to premium products exclusive to Geo-paint Warehouse Stores (Nano Technology). Product knowledge with relevant training. the link to the manufacturing entity. Bulk Buying power and negotiation capabilities. 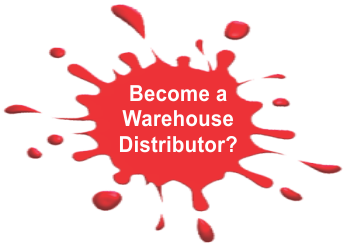 What is the ideal profile of a GEO-PAINT Warehouse Distributor? Have your own business and wish to stock the GEO-PAINT brand of products as a Licensed Distributor. Want to venture into a new challenge of becoming a Distributor for the GEO-PAINT brand, knowing you are a part of the latest innovative Nano Technology paint. Hands on/owner-operator who is involved with clients. Understanding of retail and paint/construction industry is an advantage. Then this is the perfect business opportunity for you. We fulfill the supply and demand role and ensure that our products are available to you on an agreed price. Our wholesale prices to you ensure that the re-sell value is of a competitive nature in the market ensuring that the income generated from selling our products are profitable. Access to our Marketing Material for End-user marketing. The Warehouse Distributor benefits from the BRAND. Stage 2: Paper Screening, short application form. Stage 3: Initial interview and commitment. Stage 4: Panel interview and final offer. Geo-Paint offers a high return on investment as you buy direct from the manufacturer ensuring an estimated gross profit of plus minus25%. All other costs for the Warehouse set up, shop fitting, branding, marketing and signage will be for the account of the Warehouse Distributor. You will be required to have 100% of the funds available upfront and a stable financial background. GEO-PAINT will award geographical areas to Distributors. This is discussed in the interview process and the Distributor Agreement and MOU. In which area are you interested in opening a Geopaint franchise? Why are you interested in a Geopaint franchise? What do you know about Geopaint? Do you have any experience in the paint/ retail/ construction industry? What unencumbered cash contribution do you have on hand to invest in a Geopaint franchise?